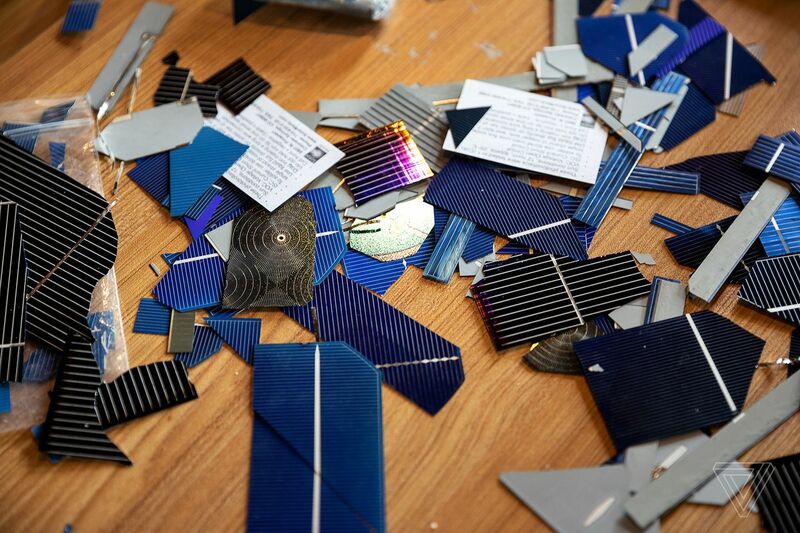 In Nathanson’s class, the students — who don’t need prior engineering experience — used upcycled solar cells from Jameco that came in a variety of shapes. 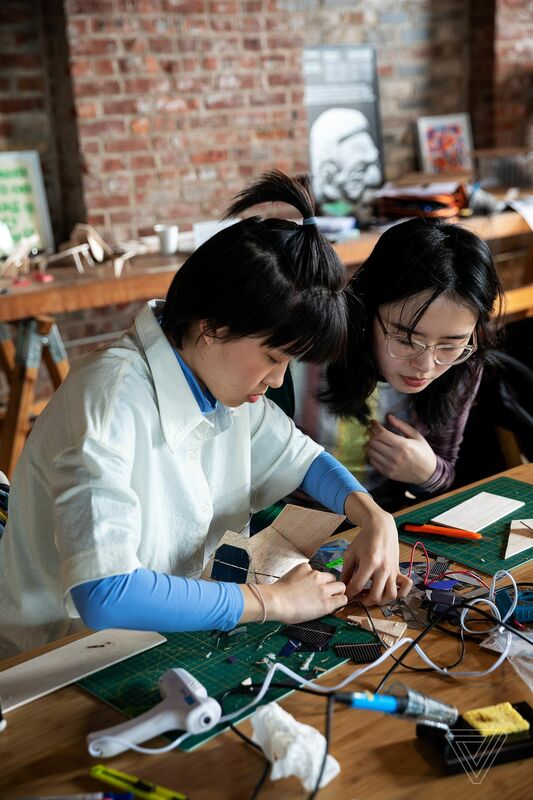 The sound project had three parts: build the sound circuit, build the solar panel itself, and then connect the two. To execute this, the students learned engineering concepts (like series and parallel circuits, volts and amps, calculating output) as well as technical skills (such as how to use a soldering iron). 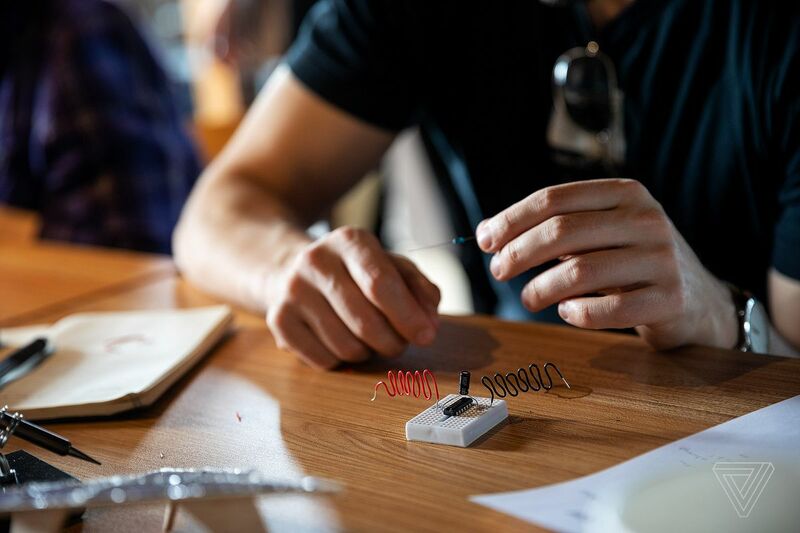 Students learn how to assemble a sound circuit on a breadboard. 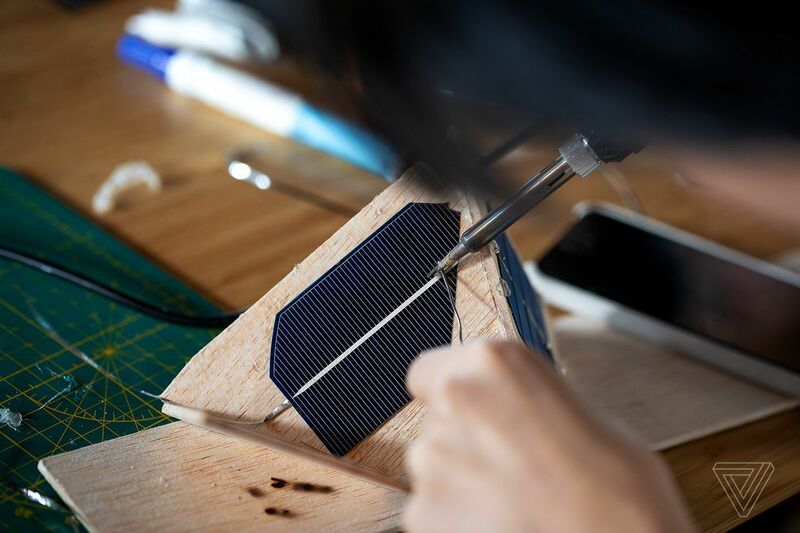 A student uses a soldering iron to build the solar panel, which is attached to the balsa wood sculpture. The final product makes an array of electronic sounds when placed in sunlight, depending on how the circuit and panels are built. 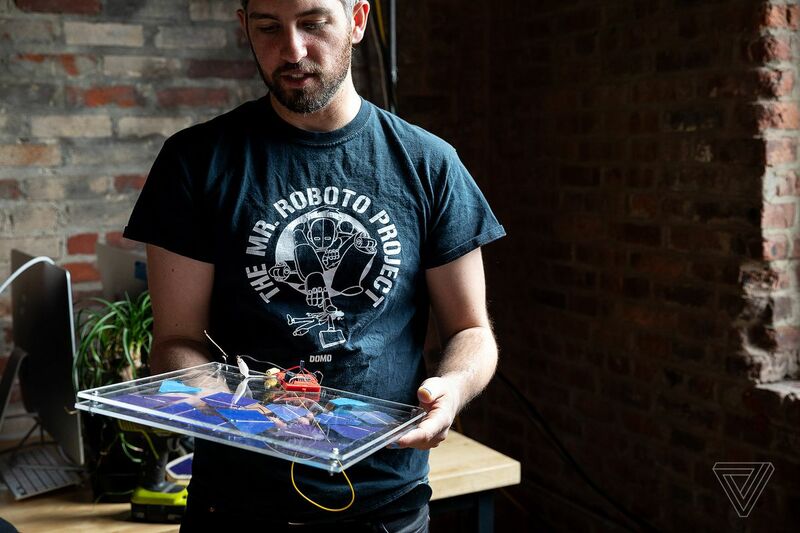 Alex Nathanson holds the project that his students made during the second week: a sculpture attached to a sound circuit that makes various sounds when placed in the Sun. The sculptures came in various sizes. Some, like the one above, are made of acrylic and look more like mosaics. Others were made of balsa wood and were more triangular in shape. 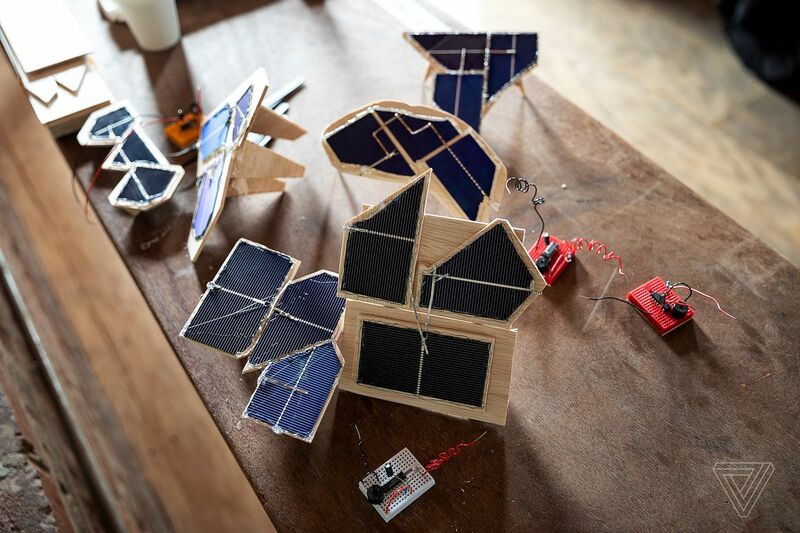 The week before, the students had built a different art project: little solar-powered robots that moved. Nathanson also maintains Solar Power for Artists, an archive of other projects. These range from Low Tech Magazine, a publication run on a mini-computer powered by off-grid solar energy, to the 1957 Solar Do-Nothing Machine, which is one of the first examples of using sunlight to generate electricity, which then powers a whimsical art installation.